The Planning Notepad by John Krissilas: UofT Demo Camp Series #3: Note Taken! UofT Demo Camp Series #3: Note Taken! Okay! After a brief hiatus, I'm back at it, taking a closer look at some of the awesome applications and platforms that were previewed at DemoCamp. In this third post in the series, we'll take a look at a note buying and selling platform that's shaking up university campuses across the country. To read the first post in the series, "Making Events More Engaging", click here. 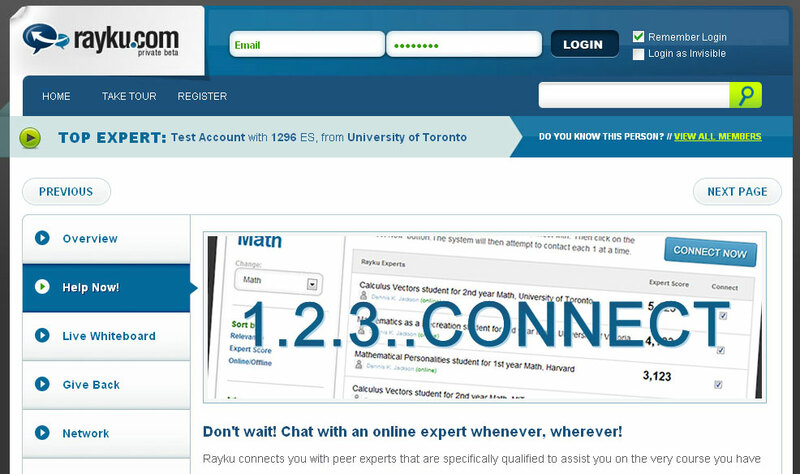 For the second post in the series, "When a Tutor is Just a Click Away", click here. Take a moment and think back to your days at university - in particular, the daily rigor of attending (and of course, paying attention to) lectures. Think about the 8 am physics marathons, the lunchtime psychology epics, the late-afternoon history snooze-fests. Now, when it came down to enduring the gauntlet that is the weekly lecture circuit, you likely fell into one of two camps: those who slept through classes (or just skipped them entirely) and those who took letter-perfect notes every time. One of these camps needs the other if they want to have any hope of passing their classes. The other camp is quite happy to keep their treasure to themselves. What if there was an easy way of bringing these two groups together - and facilitating transactions that benefit both equally? Notewagon.com is an online platform that attempts to solve the above conundrum by facilitating the buying and selling of class notes between students. Getting started is easy. First, create a profile (with a snazzy alias and avatar, of course), and indicate the school you go to and the classes you are in. Are you one of those in need of notes for a class that you missed? Are you looking to bone up on study notes in preparation for a big exam? Then simply buy Notewagon credits and browse the lecture notes that have been uploaded for the classes that you're in. Two safeguards exist to ensure that you don't get screwed: (1) You get to preview 20% of the document before purchasing it, so you can be sure that you're not getting a lemon, and (2) all note-takers and their notes are peer-reviewed. All that limits you is the amount of coin you're willing to spend. (1) First, it succeeds in monetizing what already existed. Ace students have always drafted stellar notes that were sought-after by friends and fellow students looking to catch up (or get a leg up) on their studying. But charging people for photocopying your notes was traditionally unheard of - how much should lecture notes cost? Should larger study packages cost more? How do you know you're not undervaluing (or overvaluing) the cost of your notes? A note-buying and selling market didn't exist. Notewagon.com has created one. (2) Second, it facilitates and expands on the existing note-sharing network. As mentioned above, photocopying a fellow classmate's notes is a fairly common practice on university campuses. The only thing is, note-sharing is pretty much limited to your friends (which, in a class of 500, is likely limited to a few) and the people sitting next to you. Not a very large network at all. In addition, the process of actually getting someone's notes is time-consuming and rife with possible issues. Often a note-taker is unlikely to let a note-borrower actually borrow their written notes, and so both must find a photocopier together and wait as the notes are copied. When emailing your notes to someone - how can you be so sure they're going to keep your notes to themselves? Notewagon.com streamlines the process, and removes any barriers that may come in between friends and classmates. (3) It creates valuable, sought-after content from what was previously a private hoard. Other than the few friends that note-takers were willing to share the wealth with, class notes have, up to this point, been a very private treasure. Note-takers prided themselves on the quality of their notes and were satisfied with the stellar grades that resulted from their efforts. But these notes also represented content that a large group of people were willing to pay for. By making private notes public, Notewagon.com has, in a sense, created a new form of digital content. Notewagon.com breaks new ground on many levels. The concept is simple at its core but refined and well thought-out in its design and execution. Rather than creating a platform that's dependent on creating an entirely new form of activity, the developers have created a platform that monetizes and facilitates an activity and content that already exists. That said, the developers will have to continue to tweak the system in order to deal with the issues that will inevitably arise from a platform like this. Now that they've created a note-buying and selling marketplace, who will regulate this new economy? Will the note market have to deal with inflation, deflation, or demand-issues that affect other markets? How will note-sharing affect smaller, higher-level classes (with, say, less than 30 students)? What will the impact be on the bell-curve grading system when exam scores and overall grades start to creep upwards? What do you think of Notewagon.com?